When it comes to hire security service, people often confuse over bouncers and personal security officers. They are two different types of security service providers whose service goals are also different. In terms of Indian context, a major difference between a bouncer and a PSO is that a PSO is armed and a bouncer is unarmed. A Personal Security Guard has licensed to carry a pistol or revolver. Some of them carry a shotgun also. Let's understand in brief about these security providers! A PSO is a highly trained security officer. The rigorous training involves fighting techniques, reading the body language, keeping eye on the surroundings and using a gun in a critical situation. The background is verified to find out a clean criminal record. A PSO is hired by politicians, celebrities and big businessmen as a personal guard. These trained officers are hired for physical safety when there is a chance of burglary, death threat or kidnapping. They work as a shield for their owner to provide full protection. A bouncer is called with several names like door supervisor, doorman or cooler. He is a man having tall figure and toned body. They are employed at venues like bars, nightclubs, pubs, and concerts. 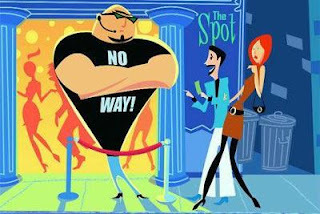 A bouncer is dedicated to provide security to a premise by checking the legal age to the people who want to enter a pub or a club. He is also dutiful to refuse entry for intoxicated persons and deals with aggressive behaviour without using force. Bouncers are mastered in handling crowds. They are preferred to appoint in the area where alcohol consumption is more because drinking is one of the greatest reasons of unnecessary scuffles and arguments. Although, a common stereotype of bouncers is that they use physical strength to throw patrons out of clubs and restrain drunkard from headlocks. Actually, these tall men have ability to judge and communicate well with people. They don’t apply physical force to calm down an aggressive situation. They know the art to restrain aggressive customers without harming them. To hire a PSO or bouncer service for events, pubs and parties in Delhi, conduct an online search. It is one of the fastest mediums to get in touch with reputed bouncer service providers of your city. Before hiring must consider the purpose of getting the security service, when you know the purpose hiring will become easy. You can able to hire a suitable security provider.